See how the locals travel on our award-winning coastal tour that has been designated as a Canadian Signature Experience! Take in the sights of BC’s beautiful Gulf Islands on a scenic scheduled flight from the heart of downtown Vancouver. Based on the mail delivery routes of year’s past, this unique tour lets you harbour hop from one picturesque coastal community to the next! 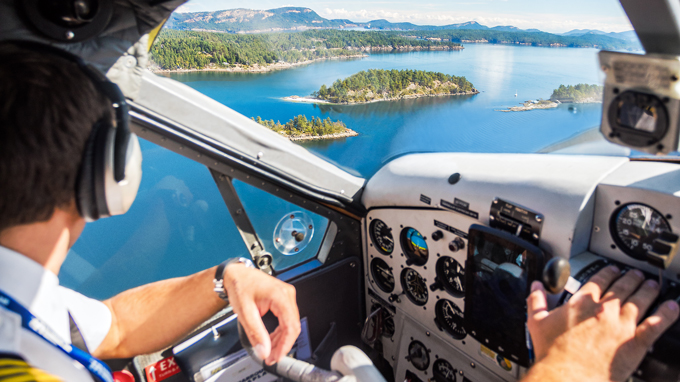 Enjoy taking off and landing in quaint harbours like Maple Bay and the seaside village of Ganges on Salt Spring Island. Maple Bay is a beautiful seaside community located in the Cowichan Valley, known for its mountain biking trails, mild climate and emerging food and wine scene. Salt Spring Island is the largest and most populated of the southern Gulf Islands, famed for its locavore-minded farmers, artisan producers, and organic vineyards. Ask about adding a stopover in Ganges and spend the afternoon exploring! This tour includes round-trip flights between downtown Vancouver and the Gulf Islands – choose between a 3-hour “island-hopping” excursion or full day trip with a stopover on Salt Spring Island. 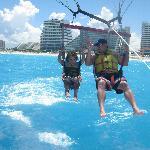 The Mail Run tour is customizable, check out two sample itinerary options below. Alternate departure times may be available; flight times vary seasonally. 1:20 pm – Enjoy free time to explore Salt Spring and the village of Ganges. Enjoy lunch at a local cafe, explore the world-famous Saturday market or visit the numerous art galleries. Ask us for recommendations! 4:10 pm – Depart on your return flight to Vancouver Harbour.